NEW YORK -- Snap says it has priced its initial public offering at $17 per share, above the expected range. This values the company behind the popular disappearing-messaging app at $24 billion. Snap Inc. is expected to start trading on the New York Stock Exchange on Thursday under the symbol "SNAP." Los Angeles-based Snap is one of the most anticipated the most anticipated technology IPOs since Twitter's stock market debut in 2013. That, in turn, created the biggest stir since Facebook took its first bow on Wall Street in 2012. Twitter is now valued at $11 billion, while Facebook is $393 billion. As such, it's being compared to both companies. Its biggest challenge might be increasing user growth, which has stalled in recent months. For Snap Inc., a social media company that started its official bid to go public last Halloween, the looming question now is whether investors are in for a trick or a treat. 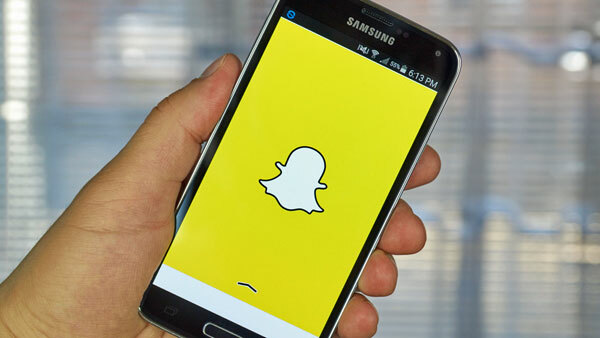 Snap seems to have passed its first major test on Wall Street on Wednesday, when the company behind the popular messaging app Snapchat was set to price its initial public offering of 200 million shares at $17 each, according to published reports. That's above the expected range of $14 to $16 and values the company at $24 billion. The stock then will begin trading Thursday on the New York Stock Exchange under the ticker symbol, SNAP. Snap's IPO is one of the most anticipated for a technology company since Twitter's stock market debut in 2013. That, in turn, had created the biggest stir since Facebook took its first bow on Wall Street in 2012. Evan Rodriguez, a 20-year old student at Texas Abilene Christian University, used to send snaps of funny stuff he saw throughout the day, just as his friends did. For instance, he might take video of a friend walking across campus and send it via Snapchat - "Hey, I see you!" Easing this feeling of pressure will be key for Snapchat, especially if it wants to attract older users. They might not have as much time - or might not feel like spending that time on social media - as their young millennial counterparts. Snapchat is more about image-based communication, said Chi-Hua Chien, managing partner at Goodwater Capital who originated the VC firm Accel Partners' investment in Facebook and later invested in Twitter while at another firm.